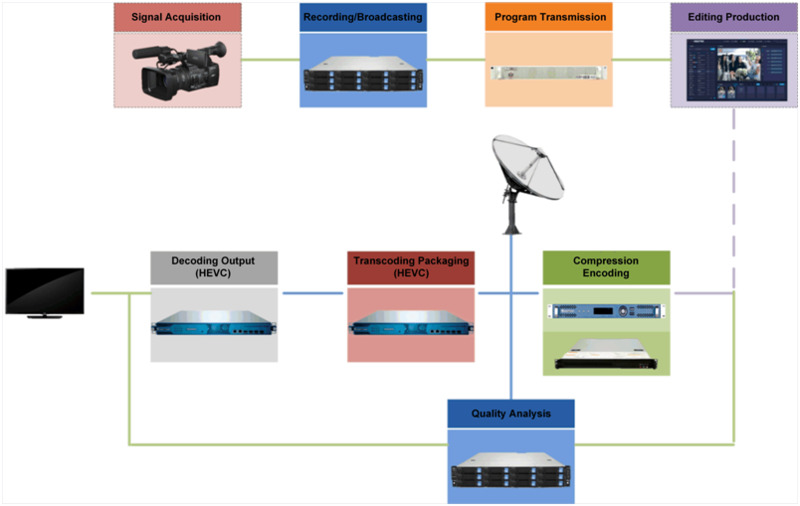 The field of radio and television, or the upgradation of the video industry from HD to 4K, not only enhances theresolution of images, but also means a substantial increase in performance for all involved devices, covering the upgradation of acquisition, transmission, storage, broadcasting and other processes.Therefore, Sumavision’s 4K overall solution not only includes the traditional editing, transcoding and decoding equipment, but also extends to work after the program acquisition the, such as storage, recording, broadcasting, transmission and quality analysis. Advanced core algorithms. Support 4:2:2, 10bit, HDR, BT.2020, 60P and other features to provide true 4K caliber picture. From video acquisition, program processing to quality inspection, creating a truly complete 4K overall solution. The only solution in china with embedded HEVC encoding device and its own AVS2 software algorithm at the same time, which providing customers with the most comprehensive, the highest quality video encoding options. Large professional R & D team to ensure the continued upgrading of the system, and to meet the needs of customers customized. Create a 4K business system with advanced technology and perfect functions for customers, which can effectively turn investment into core competitiveness. Compatible with two latest encoding standards, H.265 / HEVC and AVS2, to reduce the impact due to the changing of code formats. Based on Sumavision’s extensive experience in broadcasting industry, this solution will maximize the promotion role of upgradation of 4K industry to the operators. The plan is mature and can be launched. All core products have been tested through the relevant test byGeneral Administration of Radio and Television with the results of excellence in performance and quality.